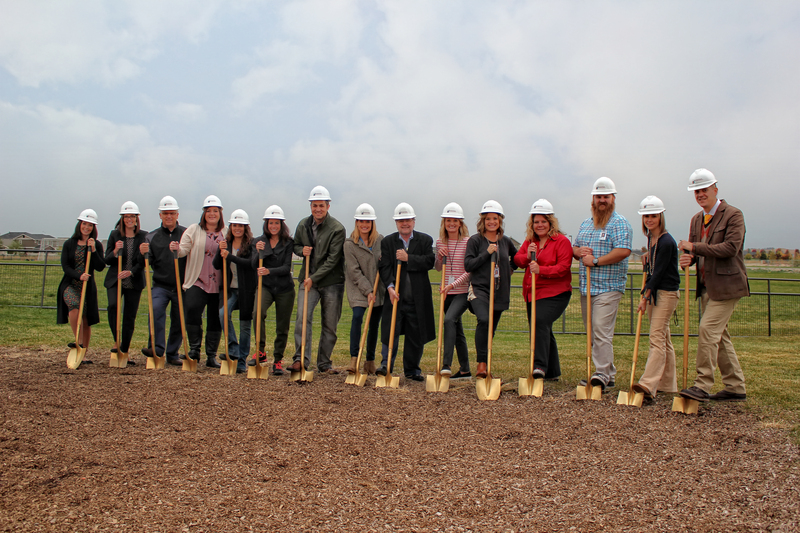 On Wednesday, October 11, 2017, North Star Charter School (NSCS) of Eagle, Idaho broke ground on Phase I of a $2.5 million Sports Complex and Playground Campaign. This new Sports Complex and Playground will transform roughly 6 acres of NSCS property into a 5 lane all-weather track, multi-use sports field, a sport court, 6 circuit fitness area, outdoor classroom, extended playground, student drop off/pick up lane, and an additional parking lot. Phase 1 of the project includes the new playground, sport court and 6 circuit fitness area. These additions will provide NSCS‘s roughly 1000 students with a wider variety of physical fitness and play activities. Research has shown that fitness, athletics and play have significant impact in both the academic and social development of students, thus increasing NSCS’s tradition of achieving high academic interests. As a public charter school, NSCS receives public funding but about 22% less than the district schools. Funding for Phase 1 of this project largely came from NSCS Board, parents, staff, and friends. North Star Charter School is a K-12 public charter school located in Eagle, Idaho. Founded in 2003, NSCS provides students a world-class education characterized by a safe, supportive and structured learning climate that encourages high academic achievement, intellectual confidence, leadership and virtuous citizenship. The school’s charter articulates the vision of its founders to think critically and to become virtuous citizen leaders in our local and world community. NSCS curriculum offers an emphasis on business and economics across grades K-12 and the opportunity to participate in the prestigious International Baccalaureate (IB) program in grades 11-12.